I'm super excited to join Jackie and Taylor in their monthly go-to posts! I'm really looking forward to seeing what I have on repeat each month and sharing it with you. I snatched up this lace tank during one of the J. Crew sales earlier this summer and I have worn it nonstop since after the Fourth of July. It's just SO good and goes with everything. It's easy to dress up for the office or dress it down for a weekend in the 'burbs (as seen here). 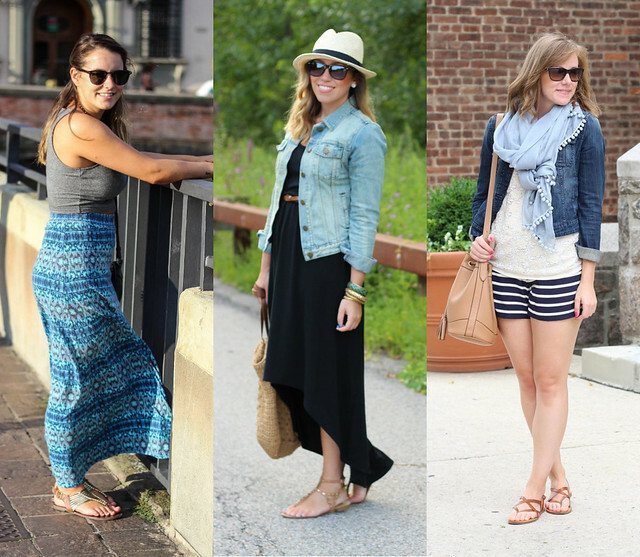 Check out Jackie and Taylor's go-to looks for August! I really love your outfit! hehhe. You look nice with that dress and the shoes. By the way, I found a great online store for clothes here.